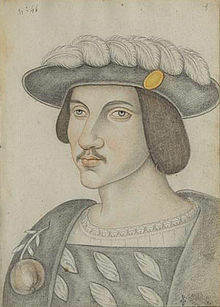 Born at Nozeroy to John IV of Chalon-Arlay, Philibert served Emperor Charles V as commander in Italy, fighting in the War of the League of Cognac. He took part in the Sack of Rome  and was killed during the final stages of the Siege of Florence (1530). An interesting exchange of letters during the siege between him and Charles still survives. ↑ Pitts 1993, p. 350-351. ↑ Fletcher 2016, p. 61.